Born 15 March 1865, Edinburgh, Scotland. A prominent legal educator, the textbook he co-authored with RC Henderson became a classic, still in use in the 21st century. Gloag & Henderson, first published in 1927 as An Introduction to the Law of Scotland is referred to as "the work of reference on the law of Scotland". William Murray Gloag (1865-1934) was Regius Professor of Law at the University from 1905 until 1934. 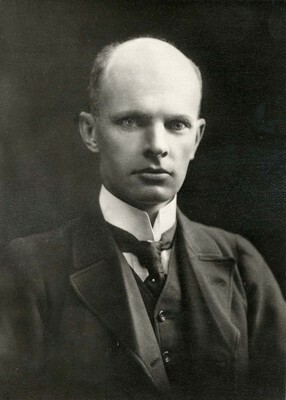 He was Dean of the Faculty of Law, 1907 to 1909, and founded the Student Law Society. Born in Edinburgh, Gloag was the son of the judge Lord Kincairney (1828-1909). He studied at Balliol College, Oxford, graduating BA with first class honours in History in 1888 and studied Law at the University of Edinburgh, becoming an advocate in 1889. He was Lecturer on Procedure at the University of Edinburgh from 1902 until his appointment to the Chair at Glasgow. Gloag wrote several legal textbooks including Law of Contract (the authoritative text on the subject, published in 1914) and, with R Candlish Henderson, Introduction to the Law of Scotland (1927). He was made a Kings Counsel in 1909 and was Assessor to the Glasgow Dean of Guild Court from 1926. The University of Edinburgh awarded him an honorary degree.